I’m always excited when I have the opportunity to work with local brands which is why I started my #MaritimeMonday feature. 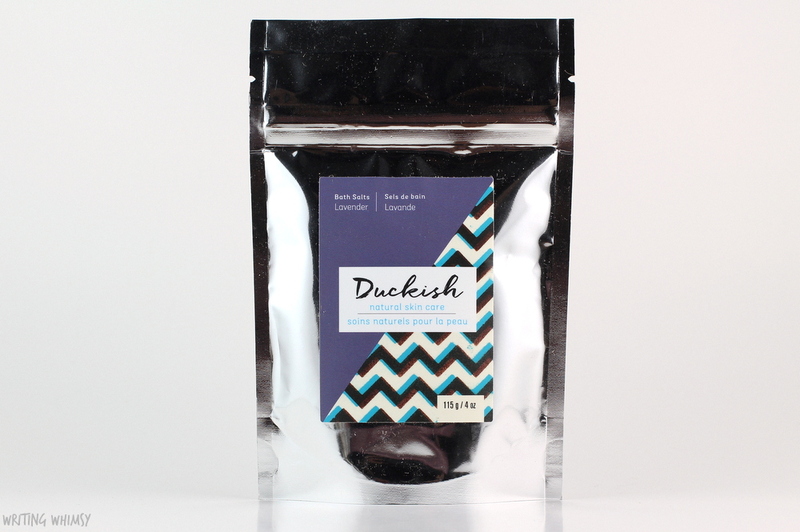 There’s 20 cm of snow predicted for this morning so odds are I’ll be calling it a snow day and although I still have to work, that doesn’t mean I can’t take a nice bath with some products from the Nova Scotian brand Duckish. Duckish was founded by Carolyn Crewe (originally from Newfoundland) and Josh Beitel. First, what is Duckish? It’s a Newfoundland expression meaning dusk, twilight. 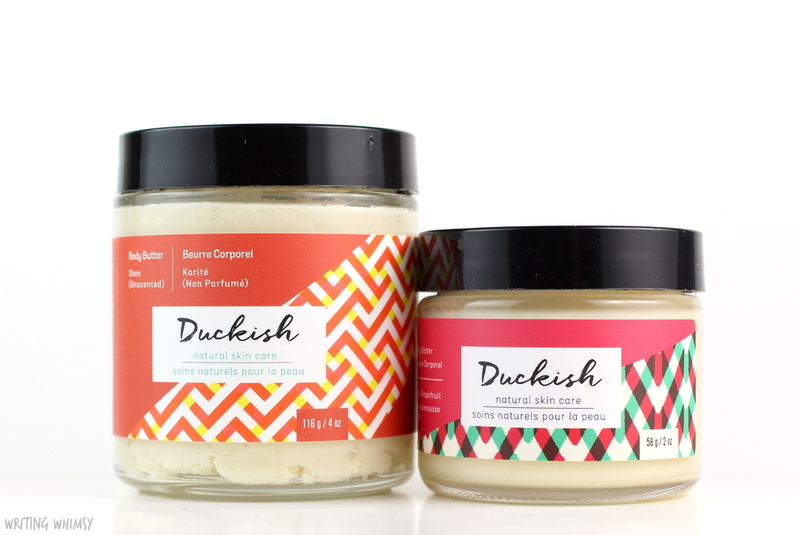 That said, Duckish Natural Skin Care are homemade products are perfect for treating yourself any time of day. Not only do I love the word Duckish but it also kinda reminds me a rubber ducky in a bath… just saying. The products I’ve been using are all a part of the Duckish Best Kind Bundle*. Best Kind is another Newfoundland expression that indicates approval, and I definitely approve of this bundle of goodies! 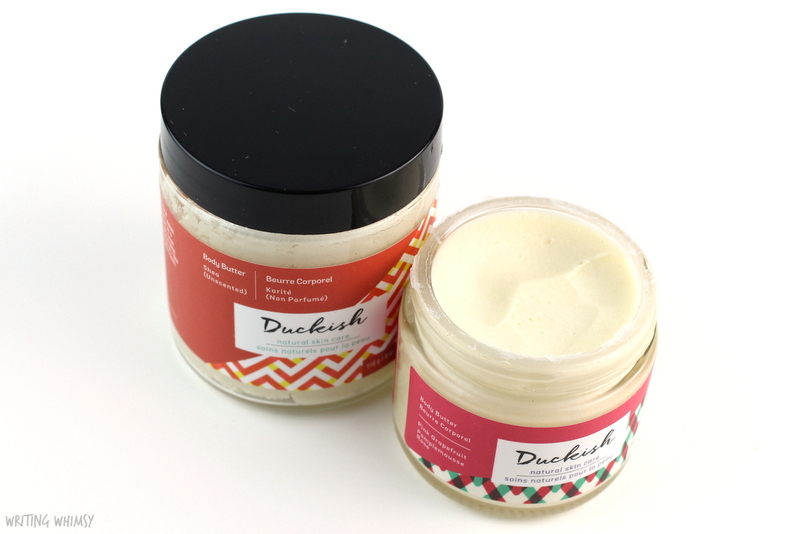 The first product in the Duckish Best Kind Bundle is a wonderful, thick Body Butter. The bundle includes a 2 oz and 4 oz jar, so you can pick your flavours from Tea Tree, Lavender, Pink Grapefruit and Shea (unscented). For my Duckish Body Butter I went with a Shea and Pink Grapefruit Body Butter. 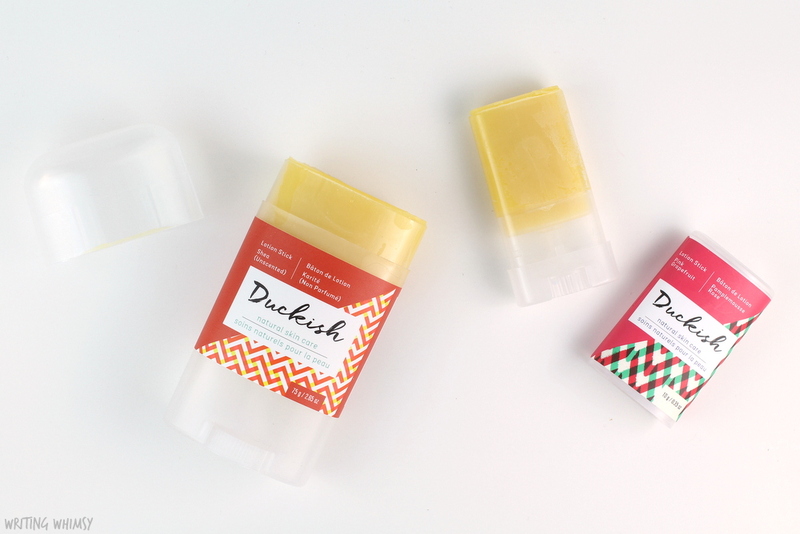 The Shea products from Duckish have a light sweetness to them but really are unscented, while the Pink Grapefruit has a sweet tartness to it that’s not overwhelming but super delicious. The Body Butter itself has a very firm consistency to it that melts into the skin when applied, almost like coconut oil (but more solid). 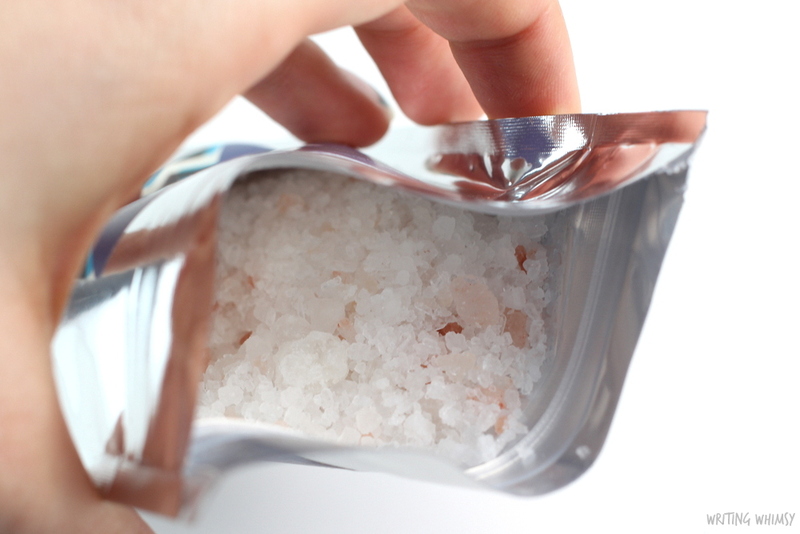 It’s very moisturizing and would be great to apply to any especially dry areas like elbows or feet. I also really like using it on my hands before bed! 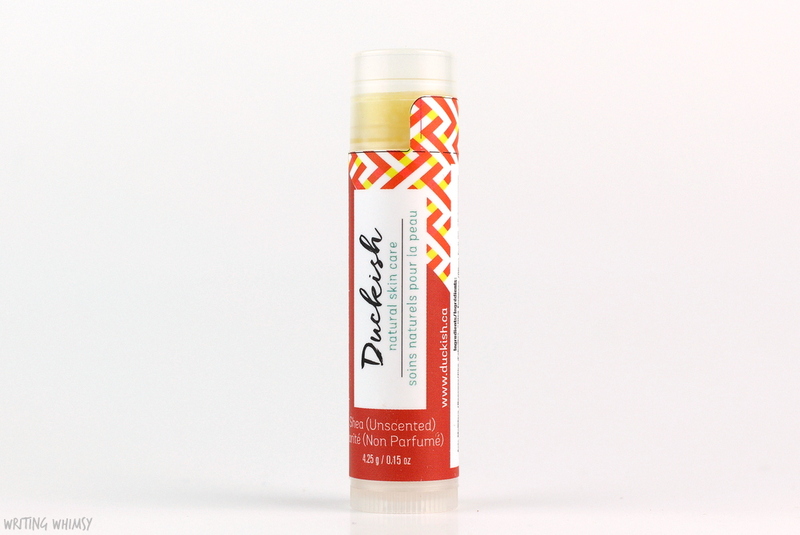 Although all their products are great, probably the most unique offering I tried from Duckish were the Lotion Sticks. Available in a Mini and Large format, as well as the same fragrances as the Body Butter, these are perfect for tucking into your bag to apply anywhere. The little Duckish Mini Lotion Stick in Pink Grapefruit is so adorable! I think the convenience of these Lotion Sticks is super appealing and they are very easy to use and much quicker than applying lotion the “traditional” way. The lotion is a little oilier compared to the Body Butter but still absorbs in quickly while providing lots of moisture for the skin. 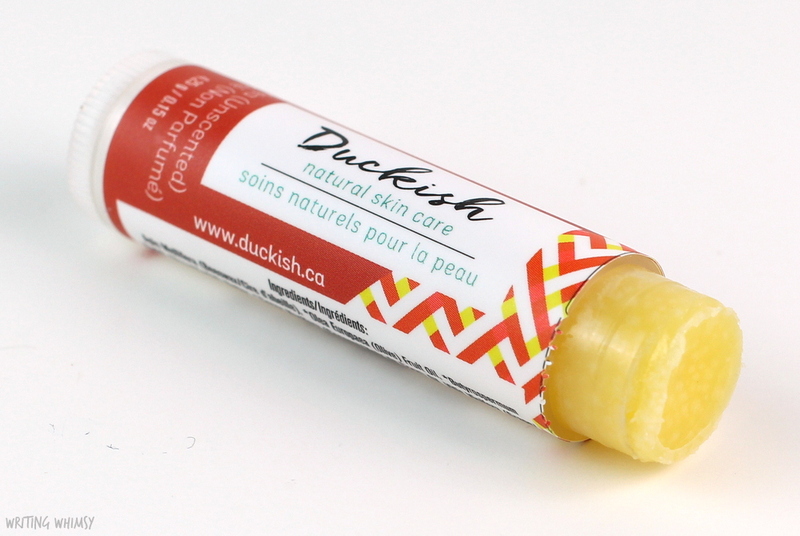 We eat an awful lot of whatever product we apply to our lips, but you can feel a lot better about that with a Duckish Lip Balm. 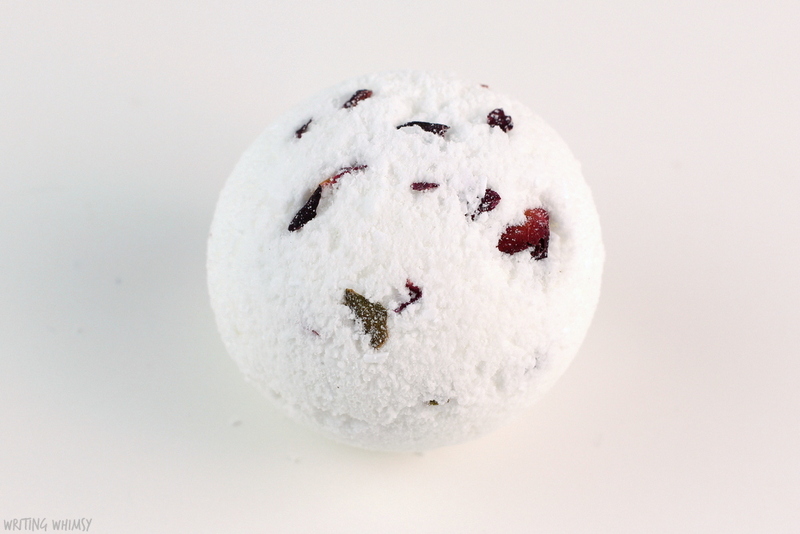 Available in Pink Grapefruit, Mint and Shea, I went with the Shea option. The balm is firm but melts into the lips resulting in glossy, oily coverage. I don’t mean oily in a bad way, it’s loaded with ingredients like beeswax, olive oil, Shea better, coconut oil and grape seed oil so it feels great and helps heal winter worn lips. I tend to prefer something a bit thicker for overnight treatment, but for daily use it’s almost like applying a lip gloss that’s really good for your lips. 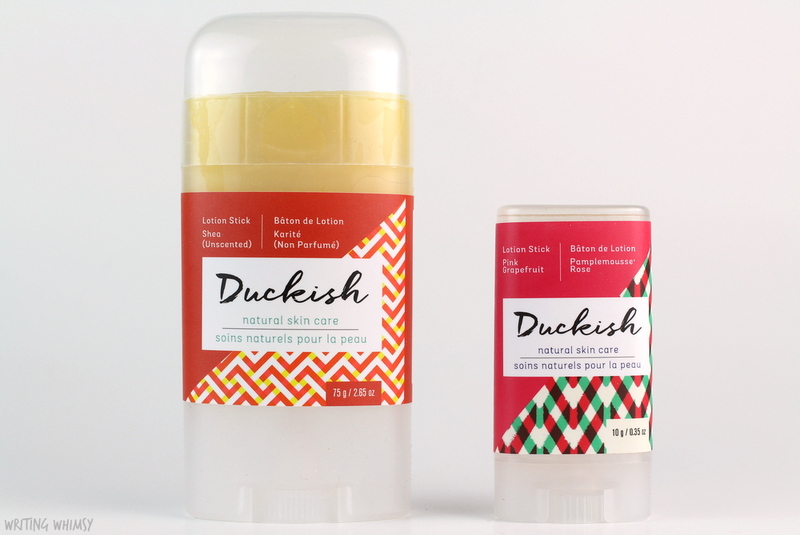 Of course I was most excited about the Duckish bath products because I take a lot of baths! 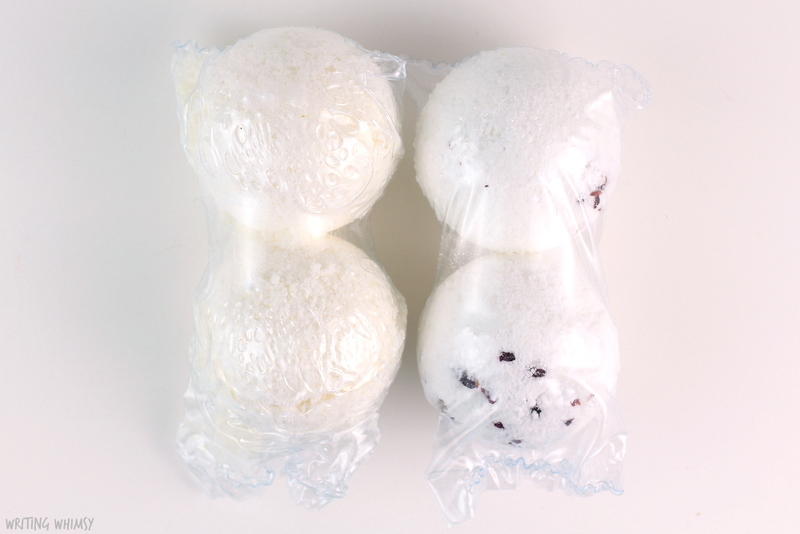 The Duckish Bath Salts are available in Citrus, Mint, and my pick, Lavender. I love how relaxing Lavender is in the bath and these salts are very highly scented and perfect for the end of a long day. Have you fallen in love with Duckish as much as I have? PROBABLY. Luckily they are partnering up to offer one Writing Whimsy reader to win the same great bundle I tried out with scents based on your preferences! To enter use the Rafflecopter form below. This giveaway is open to Canada only and ends April 4th at Midnight EST. 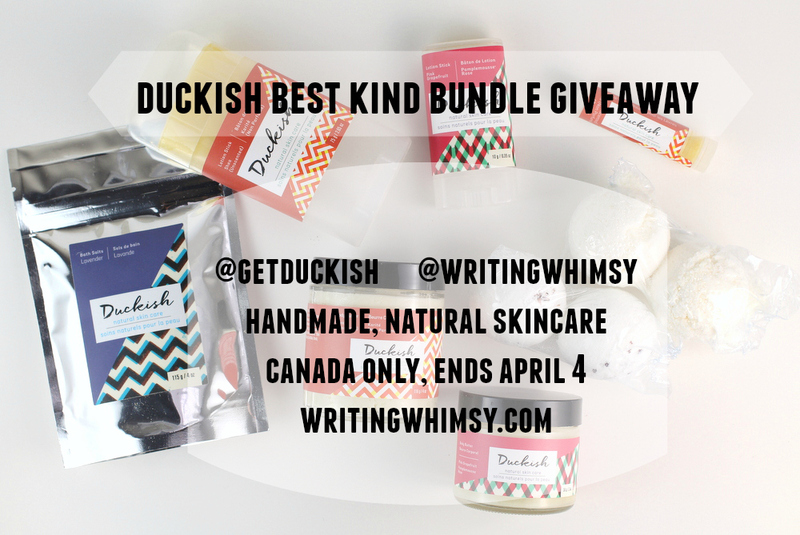 Thanks to Duckish for sharing these products with me and one lucky reader! What product are you most interested in trying? 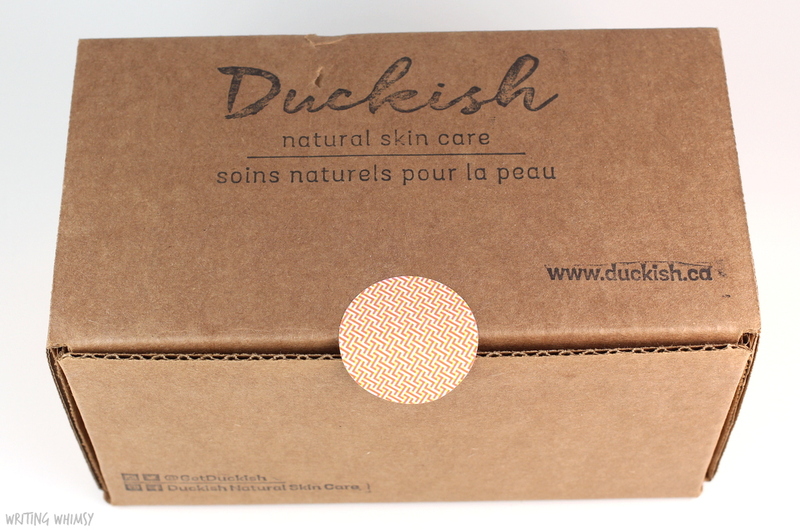 Make sure to check out Duckish.ca for their full lineup of products and to place your order!